Master Plan 2008 MÓLA acted as the Lead Consultants and Urban Designers for the preparation of the Dublin Docklands Area Master Plan 2008. The five strategic priorities set out for the Dublin Docklands Master Plan 2008 are: Accelerating Physical Rollout of devel¬opment; Achieving genuine Architectural legacy; Fulfilling the Potential of the Docklands; Realising Quality of life and Creating a Sense of Place. These priorities are supported by the main topic for the plan which is sustainability, implemented both within aspects such as ‘the environment’, ‘the economy’ and the ‘society’, to become a part of the policies outlined for the new document. The development of the plan was based on extensive public consultation with the community, the Community Liaison Committee, stakeholders and public bodies. The yearly Dublin Docklands Social Regeneration Conference, running over a two day duration in Killarney, formed the platform for discussions between the Dublin Docklands Authority, the community and the Master Plan Team and the feedback was incorporated into the recommendations for the Master Plan. 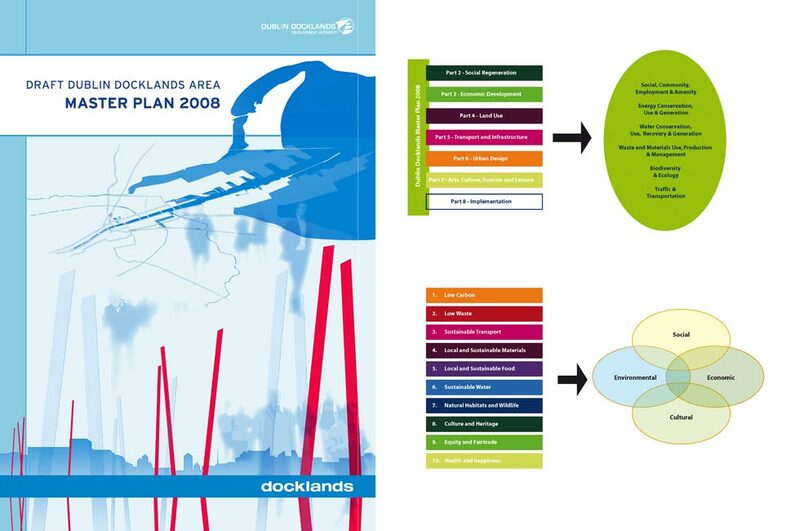 The draft Docklands Master Plan 2008 was placed on public display from June to September. Following consultation, it was amended and modified. The Master Plan 2008 was adopted on the 27th November 2008. 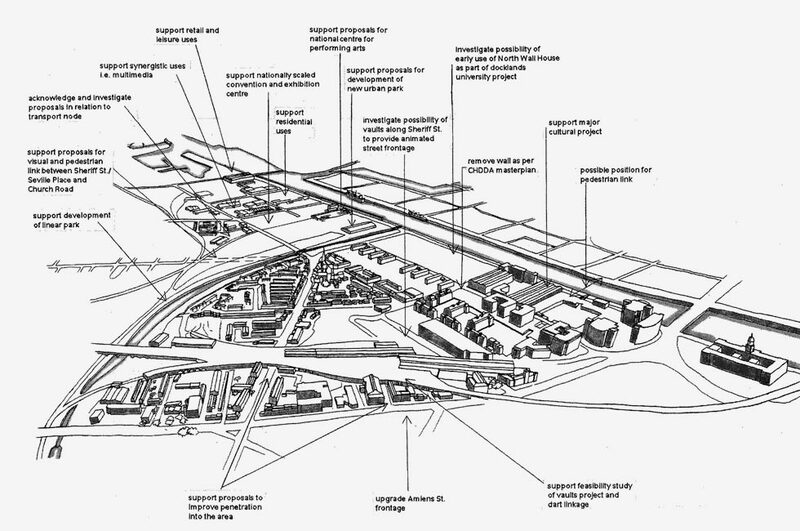 Draft Master Plan (2007) In 1997, the Riverrun Consortium with Murray Ó Laoire Architects as lead consultants were commissioned by the Government of Ireland to prepare the Draft Master Plan for the Dublin Docklands. The Master Plan was the largest ever undertaken in Ireland and one of the largest Docklands regeneration strategies in the world. The area covers 1,300 acres ( 520 hectares), at the core of which were former Dockland areas comprising some 100 hectares of substantially derelict or low value industrial land. The entire area had a resident population of only 17,000 on mainly prime river-side land close to the city centre. 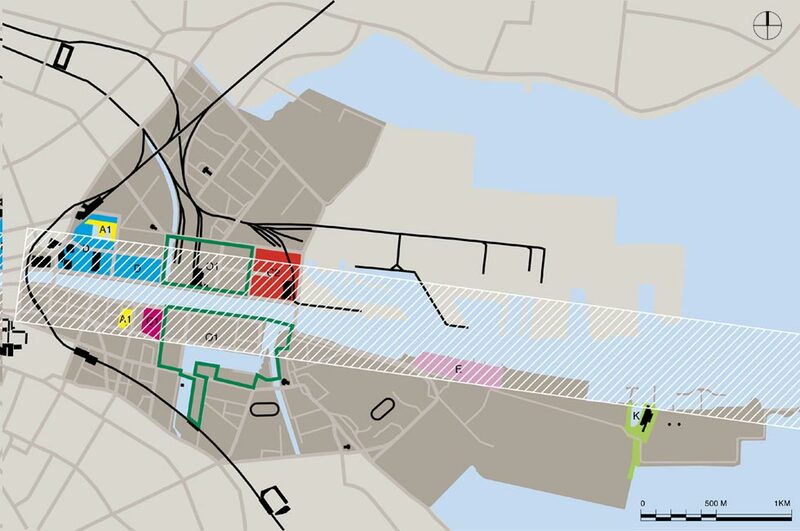 The Riverrun Consortium study formed the basis for the Master Plan produced by the Dublin Docklands Development Authority. Since the first Master Plan the Dublin Docklands has been transformed from a partly derelict harbour front area to a thriving new mixed use community in the expanding urban core of Dublin City Centre. 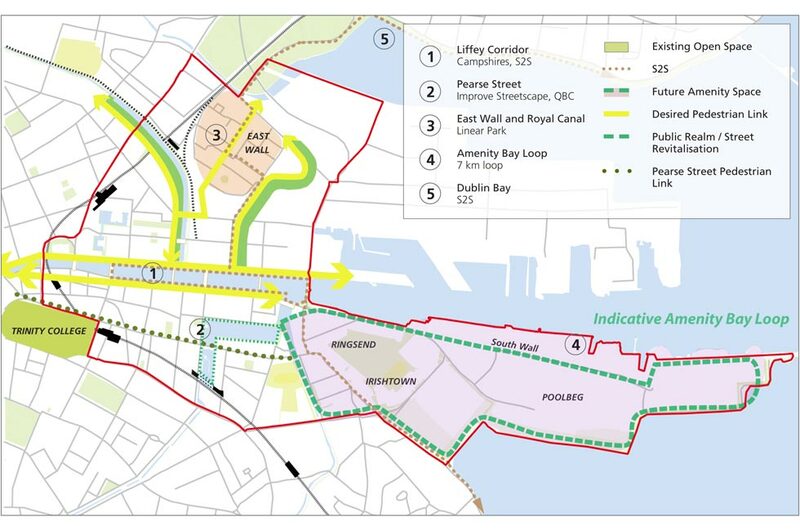 The Master Plan is updated every five years and is the statutory framework for articulating the Dublin Docklands Development Authority’s policy in fulfillment as defined by the the Dublin Docklands Development Act and is based on the development of policies.